For Andrew Willis, artistry and scholarship go hand in hand. For several decades he has explored the historical development of keyboard instruments and their performance practice while maintaining a commitment to the study, performance, and teaching of the widest possible range of repertoire. Willis received the foundation of his musical outlook as a student of Mieczyslaw Horszowski at The Curtis Institute of Music (BM, 1972). The cultivation of collaborative skills under the tutelage of Lambert Orkis at Temple University (MM, 1982) further expanded his horizons. At Cornell University (DMA, 1994), working with Malcolm Bilson and the faculty of the Center for Eighteenth-Century Music, he discovered the full joy of musical performance realized on historical keyboard instruments through the application of performance practices suitable to each stylistic era. Willis's broad range as a performer has produced a varied discography. As a participant in the first complete recording of the Beethoven sonata cycle on period instruments, his performance of Op. 106 was hailed by The New York Times as "a 'Hammerklavier' of rare stature." As a modern pianist interested in contemporary repertoire, he commissioned, premiered, and recorded Martin Amlin's Sonata No. 7 (2000) as part of a program including other works by Amlin, Fine, and Copland. Equally at home as a collaborative pianist, he has partnered soprano Julianne Baird in recordings of Schubert Lieder and Rossini songs, soprano Georgine Resick in early-Romantic song cycles, and flutist Sue Ann Kahn in music of Rochberg, Schickele, Luening, Kraft, and Ibert. His most recent releases presented chamber music of Emanuel Bach on fortepiano with Rebecca Troxler and Chopin on an 1848 Pleyel with Brent Wissick. 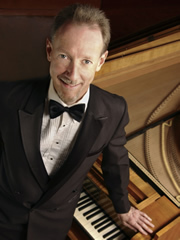 A Professor of Music at the University of North Carolina at Greensboro, Willis teaches piano, fortepiano, and harpsichord performance and leads courses on keyboard literature and performance practice. As Director of the biennial UNCG Focus on Piano Literature from 2003 to 2014, he gathered musicians, scholars, students, and listeners to engage in intensive celebrations of chosen aspects of the repertoire. Willis has appeared as soloist with such period-instrument chamber orchestras as the Atlanta Baroque Orchestra, the Apollo Ensemble, the Magnolia Baroque Festival, and the Philadelphia Classical Symphony. Recent recital appearances have taken place at the National Music Museum, the Bloomington Early Music Festival, the Boston Early Music Festival, the Strathmore Arts Center, and for early music societies in San Diego, San José, and Los Angeles. Willis's investigation of historical performance practice includes the period from 1700 to 1760 when Italian and German masters first cultivated a pianoforte style in their keyboard works. He is fortunate to be able to explore this music on a 2005 David Sutherland replica of a Florentine pianoforte of the type built by Ferrini, successor to Cristofori, the inventor of the first piano action. Willis aspires to be a literate performer. He publishes the occasional book review or editorial and participates often in professional conferences as a presenter and performer. A past president of the Southeastern Historical Keyboard Society, he serves on the Board of the Westfield Center for Historical Keyboard Studies and was a finals juror of the first Westfield International Fortepiano Competition in 2011. In 2005, Andrew Willis toured China presenting works of American, Chinese, and Chinese-American composers, performing and teaching under the auspices of the Central and China Conservatories in Beijing and the Conservatories of Shenyang, Dalian, Xi'an, and Chengdu. He is always hoping that some of his Mandarin-speaking students will help him pick up a smattering of the language. For more detailed information, please view this résumé.